I almost postponed writing this post for another day because I'm not sure I can find the words to truly express all the emotions I've been feeling for the past few days. I guess I should just start at the beginning. I grew up a Villanova Wildcat. As the daughter of two Villanova graduates (not the mention the niece and cousin and sister to a few more), I have known the Villanova fight song for as long as I can remember. When it came time to select a college, I looked at a few different schools but there was never a doubt in my mind that I would spend my undergraduate days at Villanova. When most people go to college they're young and don't really know who they are. 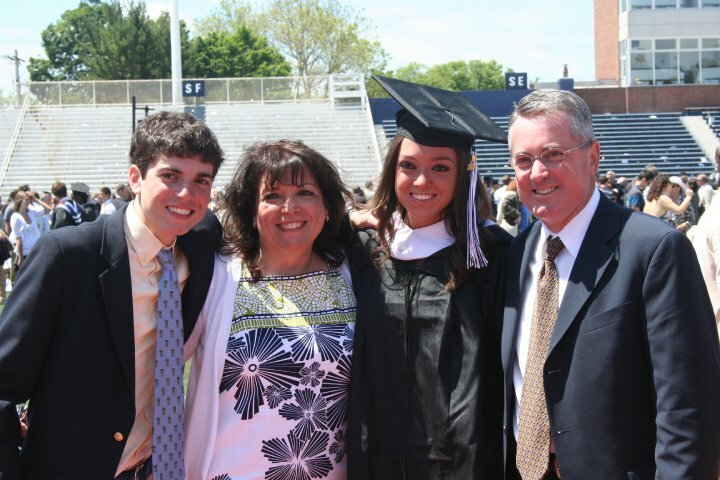 I truly see Villanova as the place where I figured out who I was, what I stood for, and where I really grew into myself. Now, you can't talk about Villanova without talking about basketball. Even though they had not won a National Championship since 1985 (that was before I was even born! ), every basketball season I can remember has always been exciting. People talk about that championship game in 1985 as if it happened yesterday and now I can say that I witnessed a Villanova victory, and I could not be more proud to be a Wildcat. In case you live under a rock, on Monday, April 4th 2016, the Villanova Wildcats became the NCAA National Champions. Not only did they win, but they won on an amazing buzzer beating basket. It was truly a game I will never forget. I completely understand now why the Villanova fans that witnessed that game in 1985 talk about it the way they do. It's unlike anything else to see your team you've been with through good and bad make history, defy all odds, and win a national title. The only thing I regret is that my Dad is not here with us to witness this historic victory. He was always so proud of his Villanova education and I can just imagine him cheering on the Wildcats in a Villanova button-down shirt (he wasn't one to be casual). Artichokeiacono Dip and Jay Wright Bean Turkey Chili named after one of the start players this year, Ryan Arcidiacono and the best coach ever, Jay Wright. Yeah, these banners are going to stay up for a while. This place is absolutely gorgeous, beautiful and stunning. Even though a few halls are equally appealing and fascinating in their decor, food and aesthetics, I'm tempted to still give these venues in Atlanta some slight edge.